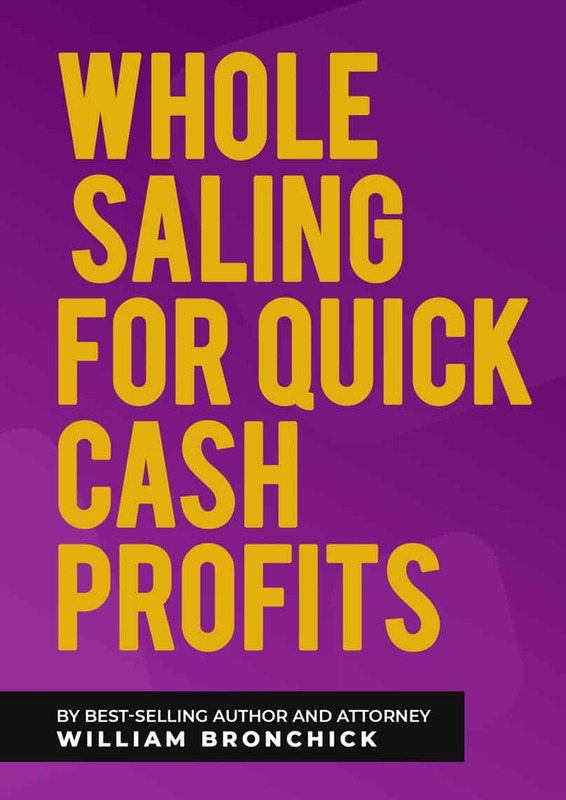 Wholesaling for Quick Cash Profits is a quick and dirty guide to making quick cash profits in real estate through wholesaling properties. Investors everywhere are making $3k - $10k a month by finding great real estate deals and wholesaling them to other investors. You don't need a license, an office, or huge overhead. And, you don't need piles of cash to wholesale properties. I got started wholesaling because I was broke, had no credit and had tens of thousands of dollars in credit card debt. Despite being told “It can’t be done”, I did 18 deals my first year, paid off all my credit cards and student loans, and generated a cash reserve of over $30,000. Not bad for someone started out with no credit, no cash, and no real estate experience. I had a burning desire and I invested in the knowledge it took and applied it to what I had learned. Download this eBook and learn the legalities of wholesaling, common mistakes investors make, and how to get started in the wholesaling business!